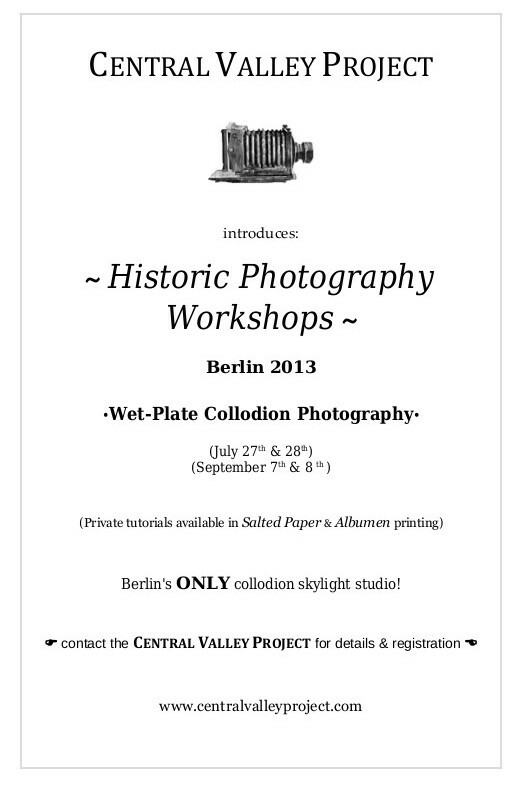 Two places are still available in July's Wet-Plate Collodion Workshop! Learn how to create Ambrotypes and glass negatives from an instructor with over 14 years experience. At the end of the weekend participants will leave with a number (usually over 10) of collodion images they have made themselves. Contact the Central Valley Project for information or to reserve a space.